Apple has introduced a new "Shot on iPhone" campaign called "One Night on iPhone 7" that will be on display in 25 countries starting today. 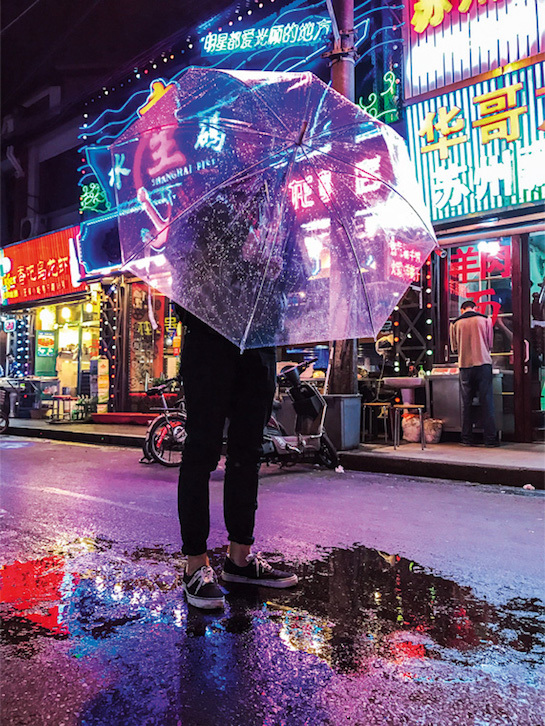 Apple enlisted a group of photographers to capture photos on one night—November 5, 2016—to showcase the low-light capabilities of the iPhone 7 and iPhone 7 Plus cameras. The photographers traveled around the world, ranging from the clubs of Johannesburg in South Africa to the rooftops of Shanghai in China. The photos will presumably be displayed on billboards and other advertising mediums in a number of cities around the world. A collection of seven photos in the campaign can be downloaded from the Apple Newsroom. "One night on iPhone 7"? Sounds like they're promoting a new drug. Meanwhile the rest of the world is pushing the boundaries on what REAL phones can do. Could you please explain in detail what the rest of the world is pushing boundaries for phones? I would love to read your response to that. Give a good photographer a terrible camera, and they'll still probably take better pictures than you with a $5000 DSLR. But serious question, can't most high end smartphones accomplish this? Is the camera what really separates iPhone 7 apart, or the slick advertising campaign. Just advertising, other cameras have proven to be either the same or better. Poor little no-talent whiner. boo-hoo-hoo. Why don't they address the horrible sound quality with voice telephone calls? Just get off of Verizon. Problem solved. This reminds me of the movie Night on Earth. Early 90's movie that I didn't see until a much later time but somehow could watch over and over. One of my favorite directors; though not one of my favorite films by him. (but it's 'good') "Mystery Train" still my favorite. Holy cow. That's an amazing ad. Well done. Apple enlisted a group of photographers to capture nighttime photos from dawn to dusk to showcase the low-light capabilities of the iPhone 7 and iPhone 7 Plus cameras. I'm sure nighttime photo's would be from dusk until dawn, not dawn to dusk. Doesn't every smartphone company tout their camera in advertising as that's about the only thing left to get people to upgrade? Are people really buying new phones because the bezels are smaller or they place it on a mat to charge it? They were walking backwards while taking photo's. So they were walking away from the dawn into the dusk. This can understandably confuse people sometimes.